As Chief of Police, I would like to welcome you to the Weatherford Police Department’s web page. 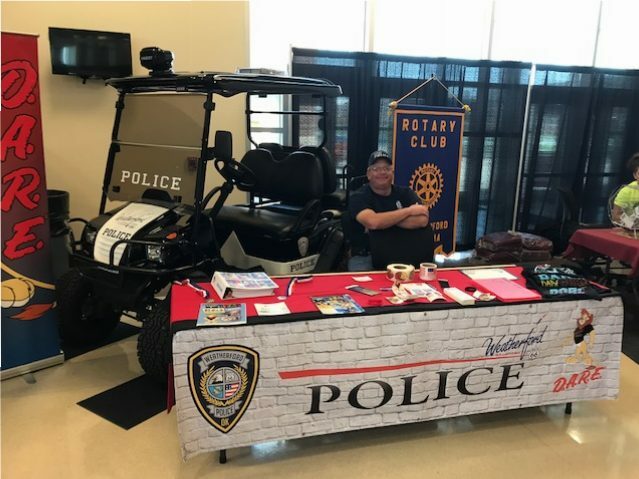 The Weatherford Police Department is working to make the City of Weatherford a safe place to live and work by forming partnerships with its residents and businesses. On behalf of the forty-two men and women of the Weatherford Police Department, I want to welcome you to the City of Weatherford Police Department. It is because of the efforts of the dedicated employees of this department that makes Weatherford a “great place to live, work, and raise a family”. We are extremely proud of our personnel, as they are some of the best trained, most dedicated and most professional people around. They are always looking for ways to make Weatherford a safer and better place to live. The department currently has 25 commissioned personnel, 4 assigned to the Criminal Investigation Division, 13 communications/jailers, 1 records manager, 4 animal control officers, and 1 police chaplain. The members of the Weatherford Police Department are proud of our traditions and confident in meeting future challenges. We are committed to preserve the peace, uphold the laws of the United States, State of Oklahoma and the City of Weatherford. Education and training is a priority of the department in order to maintain a high level of professionalism. With over 40,000 hours of law enforcement training, many of our officer’s have achieved either the “Advanced” or “Intermediate” Law Enforcement Certification. We currently have 11 officers with college degrees in various fields of studies. Weatherford has a fully accredited jail facility staffed by State of Oklahoma certified jailers. The Weatherford Police Department is proud to serve these types of employees. 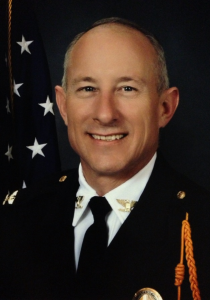 The Weatherford Police Department is completely computerized from calls for service to all previous records. Each officer is issued equipment from take-home police units for immediate response in the event of an emergency, to personally issued weapons, hand-held radios, and body armor. The City of Weatherford supports some of the best equipment available to aid in the suppression of crime. Equipment in place to ensure the most rapid response to the citizens of Weatherford and surrounding area, Weatherford maintains an enhanced 911 telephone system including equipment for the hearing impaired. The mission of the Weatherford Police Department is to provide the citizens of Weatherford the best crime control program that is humanly possible. The methods used to accomplish this goal will vary and change constantly to ensure that the police department is accomplishing this goal. The members of the police department will be constantly aware that they are in the people business. The members of the police department will recognize that the people of the City of Weatherford are the city’s most important asset, and with this in mind will attempt, in all occasions, to assist the people with any problem they may have. Problem solving, crime prevention, and strict enforcement of local, state, and federal laws will ensure the accomplishment of the police mission.